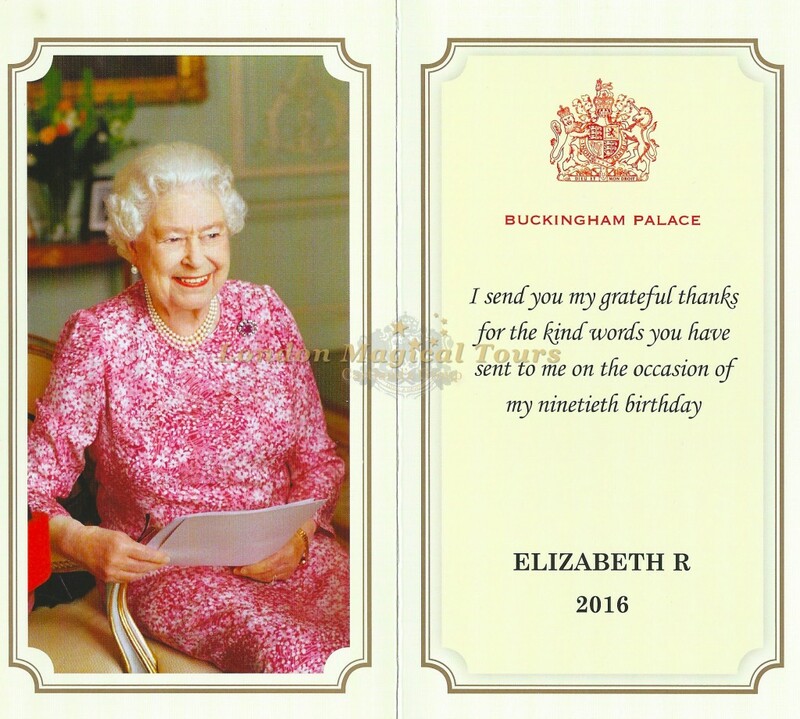 We are delighted to share a lovely letter that our director Ana Cartland recently received from Her Majesty The Queen in response to the wonderful works of art made by the young visitors on our tours during 2016. 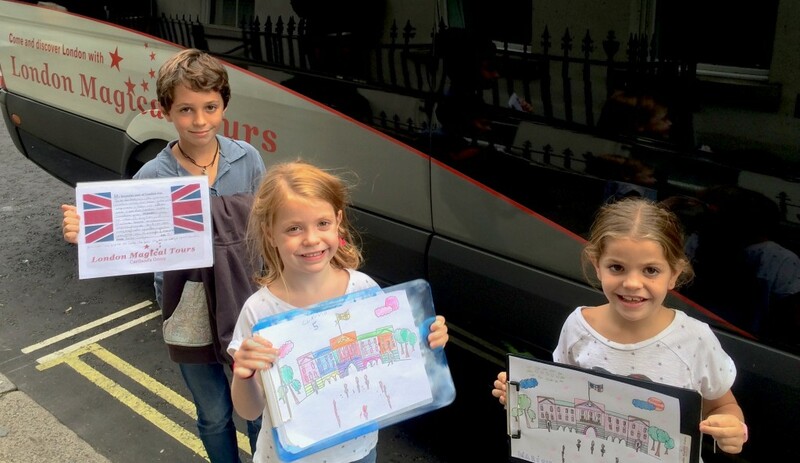 Earlier this year Queen Elizabeth II celebrated her 90th birthday and London Magical Tours helped mark the special occasion by showing Her Majesty some of the many wonderful examples of art work made on our London tours for children. Our expert team of family friendly guides love to interact with young visitors, not just teaching them about the history of London and England but also making it a fun and memorable experience. Our specialist children’s program focuses on the use of art and colour to help with learning – many wonderful examples are frequently published on the blog. 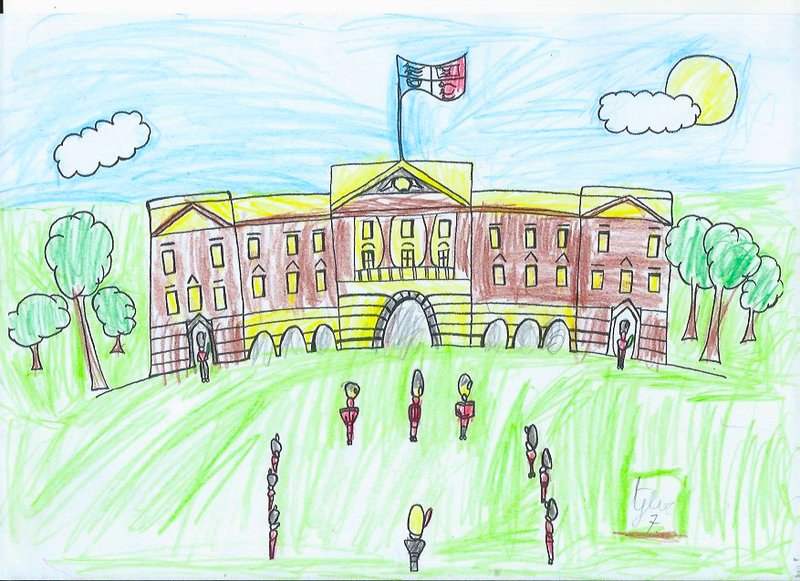 A big thank you to all our young visitors who submitted entries. We would like to wish Her Majesty continued health and many happy returns from everyone at London Magical Tours. Let the planning for the 100th birthday celebrations begin! As we near the end 2015, we delight in being able to announce the winners of this year’s Children’s Art Competition for both the over 10 and under 10 years old categories. 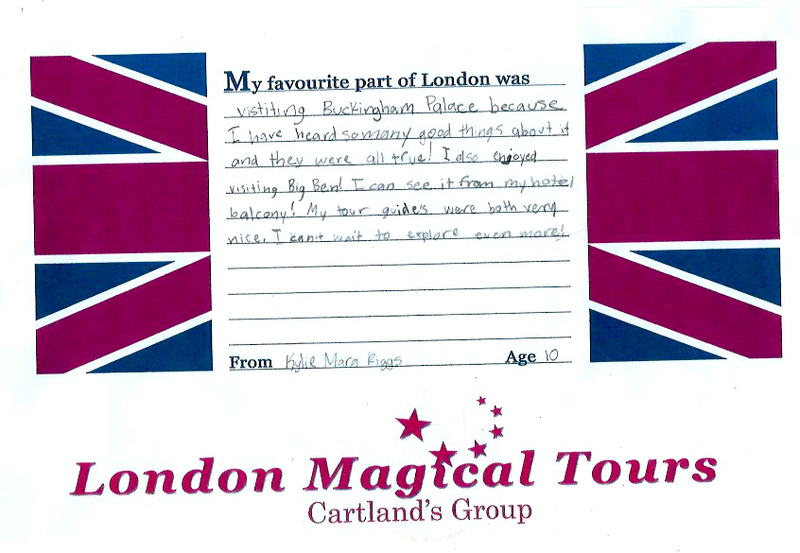 Children on London Magical Tours’ trips and excursions are given the chance to enter this fun competition which is run annually, drawing or writing all about their favourite London experience. 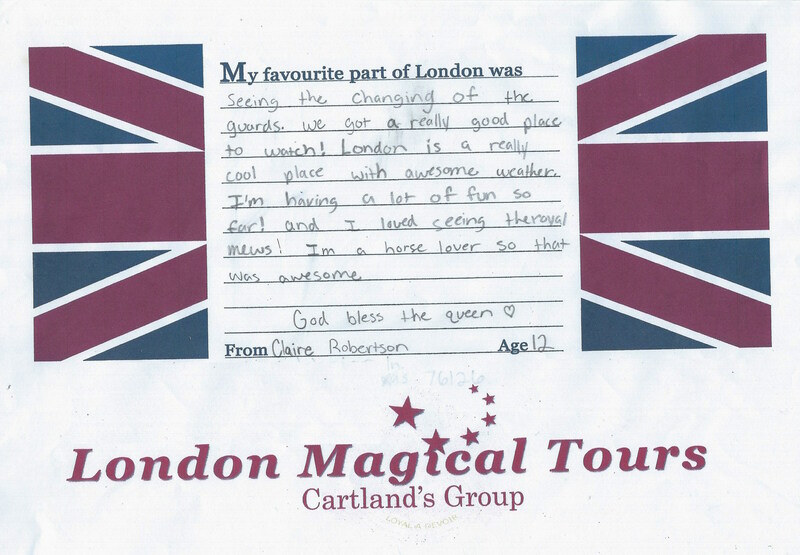 The London Magical Tours judges had a very difficult decision to make given the quality of this year’s entrants: it was no easy feat choosing from the hundred of standout entries. In the end though, they managed to narrow it down to a select group of finalists. Winner 10 Years and Over: Goes to Joan Matthew age 11, Massachusetts. 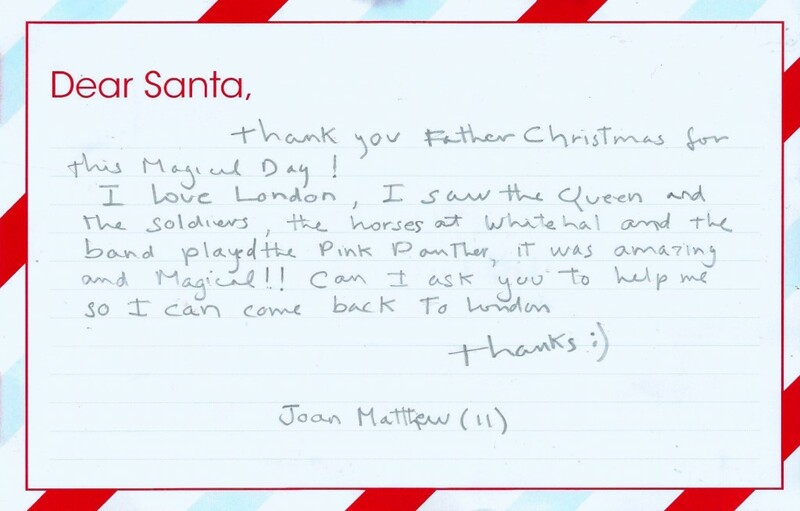 Written during one of our Magical Christmas Tours in December, Joan tells “Father Christmas” all about her action packed day in London, including when she got to see Her Majesty The Queen. What a lovely letter! Winner Under 10’s: What an amazing effort from Aiden Zinke from Maryland – aged just 6! His beautiful description of seeing the Cullinan Diamond at the Jewel House inside the Tower of London warmed the hearts of all the judges. Claire Robertson age 12, from Texas. 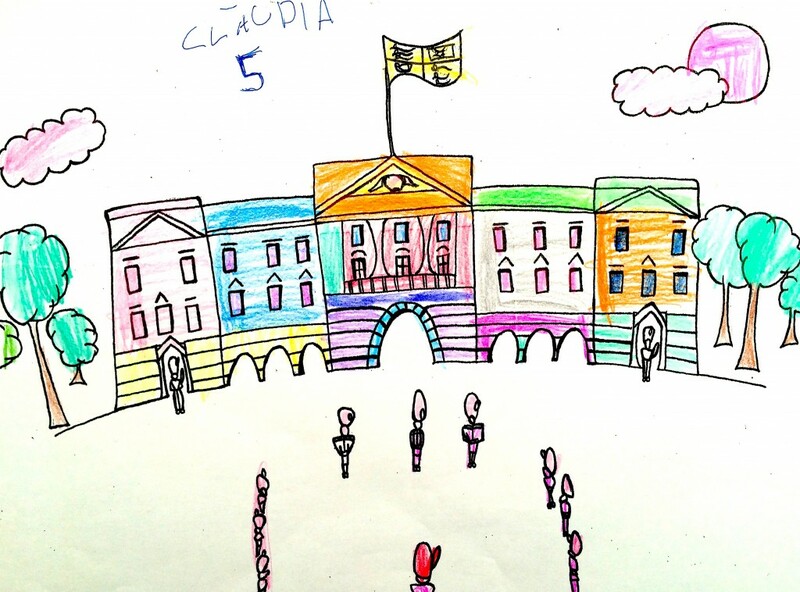 The judges loved reading how Claire recalled seeing the horses at the Royal stables (the Royal Mews) and how much of a highlight this was for her personally, as well as this wonderfully colourful piece of art by Claudia Sitjar age 5, from Barcelona, Spain. A huge thank you to everyone who entered for such great effort and work. Gifts and prizes are on their way to the lucky winners. Would you like to enter next year’s competition? 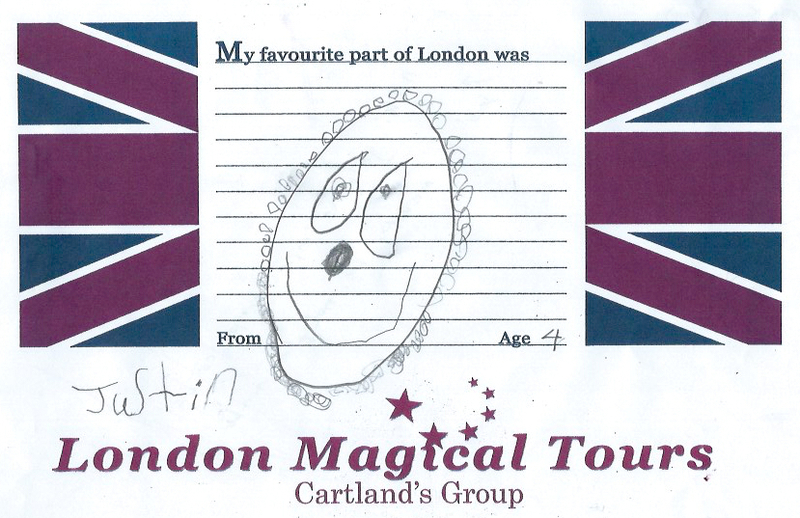 Read all about our London Tours for children with London Magical Tours for a fun and educational day out. 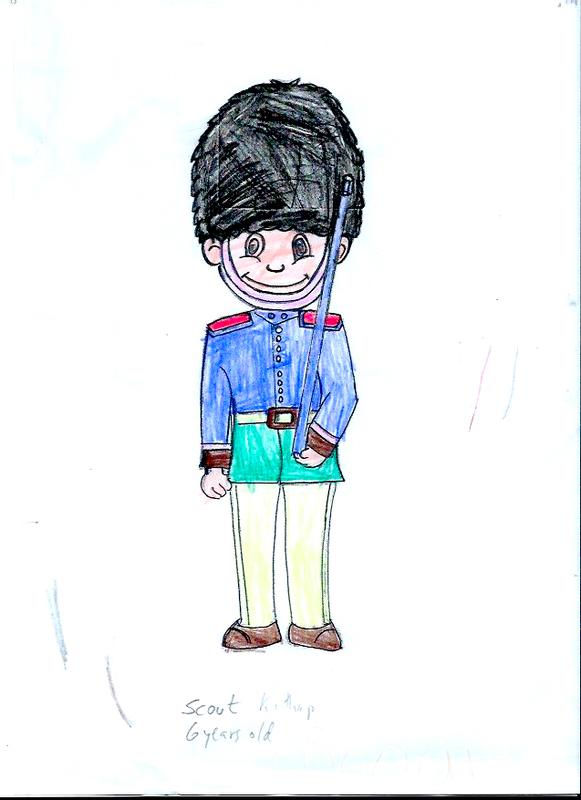 We are delighted to share with you all our favourite entries so far for this year’s Children Art Competition. 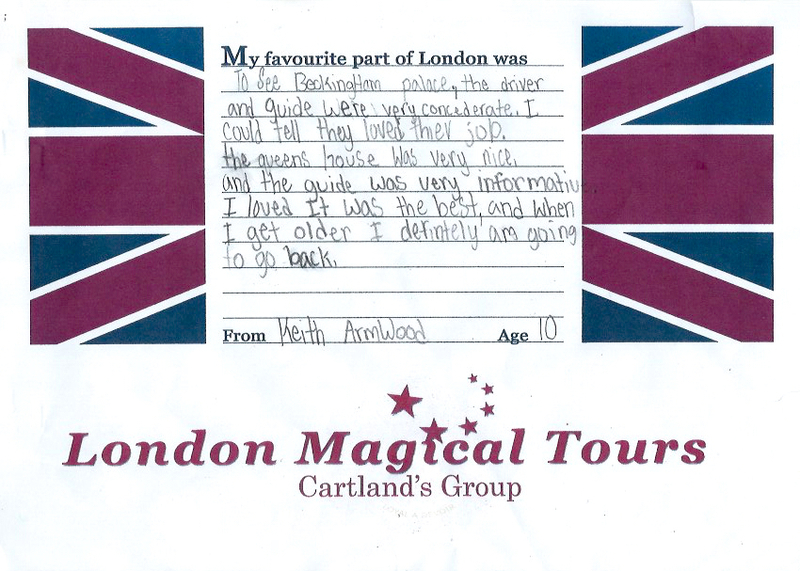 London Magical Tours guides are specialised in ensuring children have a balanced historical and enjoyable experience, very much valuing the importance of participating in a way that is both fun and educational. There is nothing better than seeing our visitor’s faces light up as they see history brought to life before their eyes, the ideal way to create lasting memories! Below are some of our favourite entries so far for this year’s competition. Winner will be announced next month with prizes sent out to the winners in time for christmas – so stay tuned! HRH Prince George is a fan! 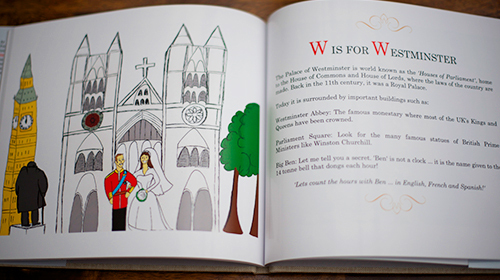 The Duke and Duchess of Cambridge, William and Catherine, were most grateful to receive the first copy of the official My London Magical Tours A to Z Guide by children’s author Ana Cartland. We hope Baby George will enjoy learning the stories that make London such a special city to live and visit. 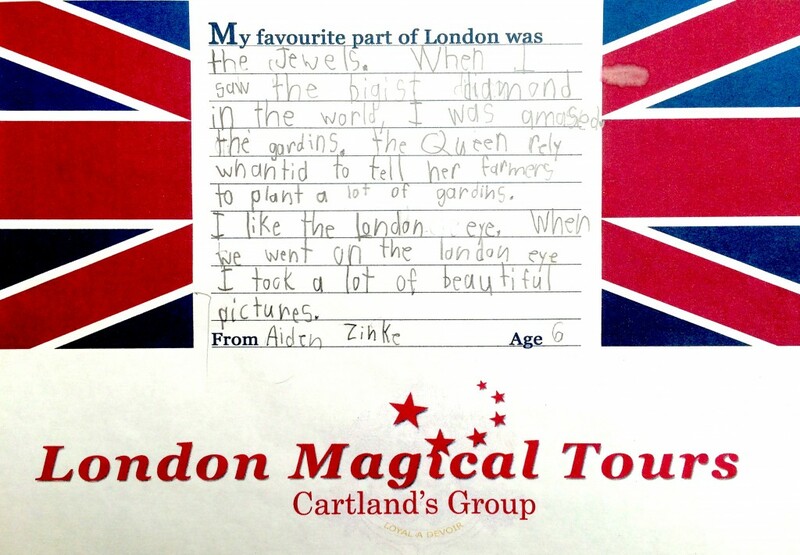 My London Magical A to Z Guide is the perfect accompaniment to our excursions for all family visits, allowing children to follow the landmarks on their tour through a blend of drawings and clever anecdotes. 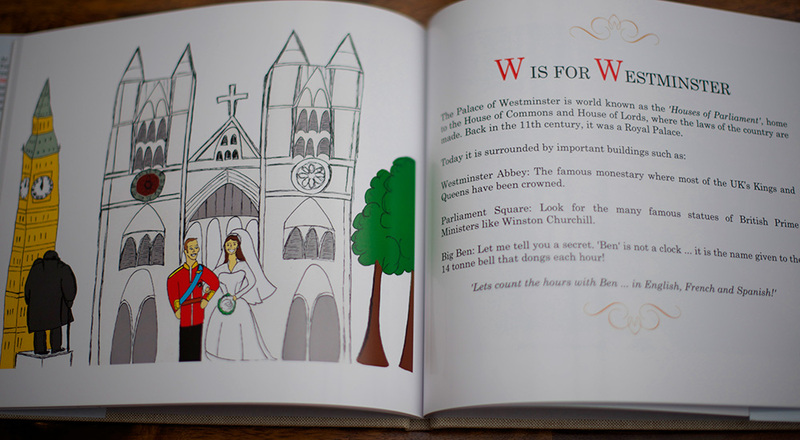 Covering many of the famous sites such as Buckingham Palace and Hyde Park, the book also helps young visitors to awaken an interest in London life by introducing central figures like the Monarch and the Prime Minister. 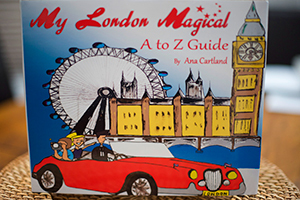 Printed in luxurious hardback form, My London Magical A to Z Guide makes a beautiful souvenir, a memento for every child to customise with their name and date of their London visit to forever be reminded of their sightseeing experience.